ISLE OF MAN, United Kingdom, January 24, 2018: Eros International PLC (NYSE:EROS) (“Eros”), a leading global company in the Indian film entertainment industry, announced today the appointment of Ali Hussein as Chief Operating Officer of Eros Digital. He will be spearheading Eros’ digital initiatives including Eros Now, its cutting-edge digital over-the-top (OTT) South Asian entertainment platform. 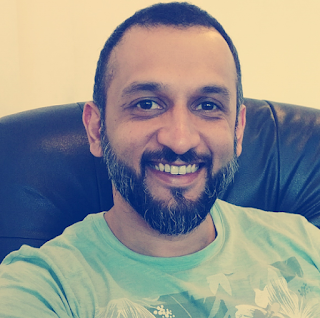 Ali Hussein brings with him extensive experience through his impressive track record of over 15 years in the media entertainment and digital space. Ali has been an entrepreneur and Board Advisor to Discovery Networks and other start-ups in the media and technology domain. His experience spans across organizations such as Google, Viacom 18 and Hungama where he has held key positions. His expertise comes from complex mandates across mobile marketing, content syndication and distribution. Speaking on his appointment, Ali Hussein said, “This is an exciting time for the Indian digital landscape and we are poised to become India’s largest Digital entertainment company. I truly believe Eros Now is an established global player is best positioned to leverage this space with the strength of its vast content library and dominant market share and I am very happy to be a part of this opportunity to take the company to the next level”. Eros International Plc (NYSE: EROS) is a leading global company in the Indian film entertainment industry that acquires, co-produces and distributes Indian films across all available formats such as cinema, television and digital new media. Eros International Plc became the first Indian media company to list on the New York Stock Exchange. Eros International has experience of over three decades in establishing a global platform for Indian cinema. The Company has an extensive and growing movie library comprising of over 3,000 films, which include Hindi, Tamil, and other regional language films. The company also owns the rapidly growing OTT platform Eros Now.